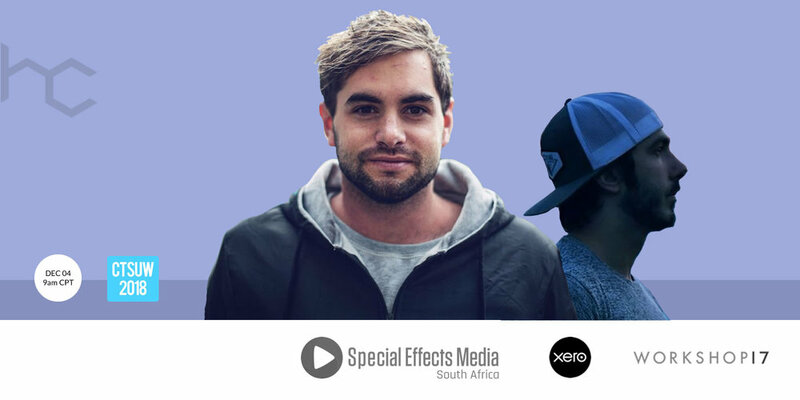 New York-based Film Director and Youtuber, Dan Mace, is heading home to Cape Town to teach locals how to become YouTube stars at a Heavy Chef Masterclass to be held at Workshop17 at the V&A Waterfront in the Mother City, on Tuesday, December 4, 2018, from 09h00 to 13h00. Mace will be joined by his manager and serial entrepreneur, Willie Morris who founded (and sold) a subscription company with digital phenomenon Gary Vaynerchuck, the social reality superstar and chairman of VaynerX. One of Africa’s top talents now living in New York, Mace joined YouTube in 2011, and today has an audience of over 716,799 subscribers. Mace currently works with trending YouTube superstar, Casey Neistat, who currently enjoys 10,641,719 subscribers, and whose former company, Beme, was sold to CNN for $25-million. Mace has won multiple accolades for his work including three Young Director Awards at Cannes Lions, an African Cristal Film Grand Prix, Bronze Loerie Awards, Ciclope Africa Editing Craft awards, and Creative Circle ad of the month. An entrepreneur and investor in extraordinary humans and businesses, Morris has launched products with Boeing and Amazon, where he pitched products directly to the founder and CEO of that ecommerce giant, Jeff Bezos. “Heavy Chef is celebrating Cape Town Startup Week [#CTSUW] by giving local entrepreneurs access to two of the world’s top content creators,” says Fred Roed, CEO of Heavy Chef, the Mother City-based learning community that exists to inspire people to start things, and empowers them to succeed. “Together with Silicon Cape, Startup Grind Cape Town, Future Females, Startupbootcamp, Workshop17, Inner City Ideas Cartel and CiTi we’ve launched an inaugural ‘Cape Town Startup Week’ to a year of entrepreneurial endeavour in the Western Cape.” #CTSUW runs from Monday 3rd December to Thursday 6th December 2018.